The event was organized by the Southwest Environmental Center, a conservation group that works to protect endangered species and their habitat. 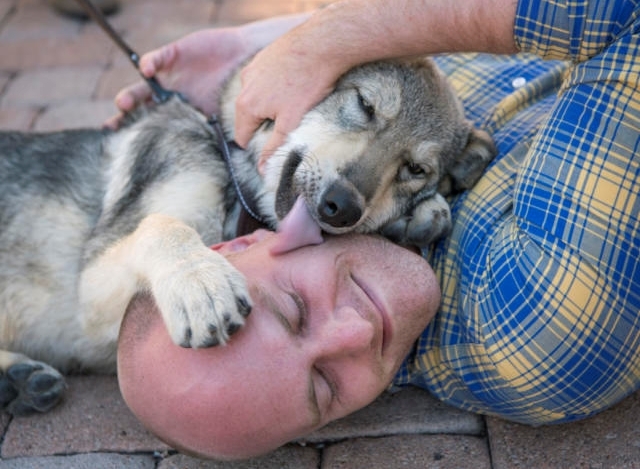 Kevin Bixby, the group’s executive director, said the blessing ceremony was intended to call attention to the plight of the Mexican gray wolf. 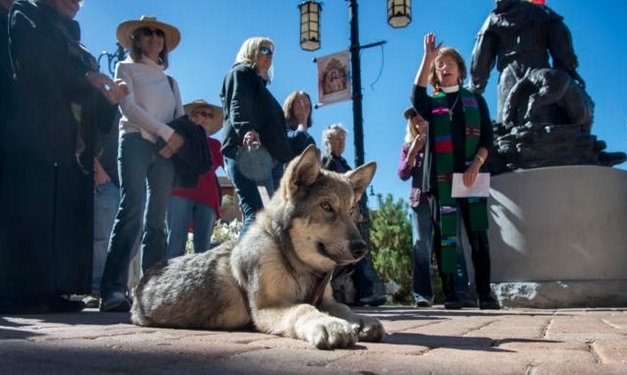 Two wolf hybrids received blessings from four different religious leaders in front of Santa Fe’s Cathedral Basilica of St. Francis. While federal officials are trying to increase the genetic diversity of the fewer than 100 gray wolves living in the wild by introducing populations into their native habitat in Arizona and southwestern New Mexico, the state Department of Game and Fish has been working against the program, claiming that expanding the wolf population and territory was an interim measure and not a recovery plan. Rev. Carol Calvert, associate pastor with the Church of Antioch at Santa Fe, and Rev. Catherine Volland of St. Bede’s Episcopal Church also gave blessings to the wolves. 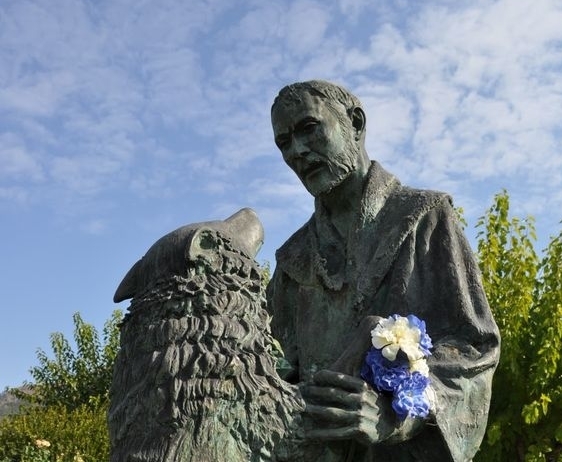 Responses to "Religious leaders invoked blessings and prayers for wolves"